FORMER workers who are demanding their unpaid salaries protested outside Gloria Coal Mine yesterday. They vowed to continue to do so until they were paid. 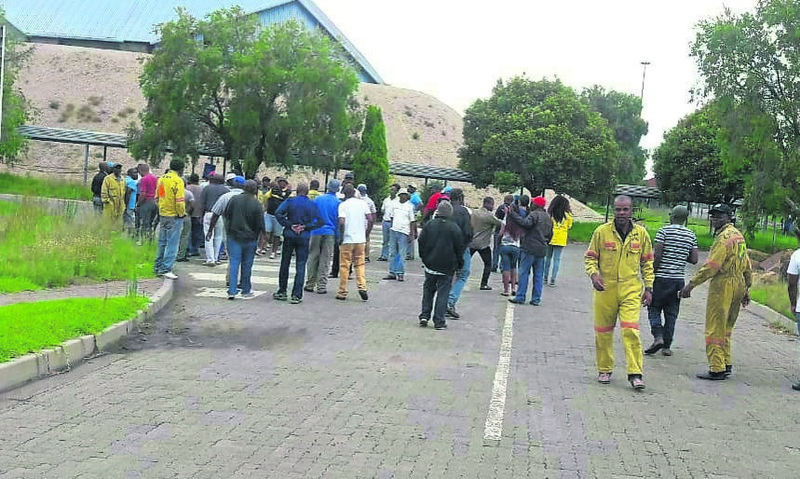 Mike Elliot, who’s running the business rescue operation at the mine in Koornfontein, Mpumalanga, said despite the former workers’ strike, they also faced other difficulties. He said they had to fix underground equipment broken by illegal miners. NUM branch chairman Nicholas Nkosi said they would ensure no operations took place. “We came here with one resolution as workers and that is there will be no rescue operation at this mine. “The people stuck underground will not be retrieved until we get our salaries. That’s all we want,” he said. More than 20 illegal miners who were allegedly stealing copper cables are believed to be trapped underground after a gas explosion last Wednesday.